Bhaktivinoda Thakur's Disappearance Day - Thursday, June 26, 2014 ~ The Toronto Hare Krishna Temple! The Hare Krishna Temple warmly invites one and all to join us for a reflective eveningas we observe Srila Bhaktivinoda Thakur's Disappearance Day on Thursday, June 26th starting 6:00pm. He is known for his personal dedication even in the face of many adversities as well as laying the foundation of our now, international Krishna conscious movement. On this day, we reflect on the remarkable pastimes and achievements of the revolutionary spiritual leader. 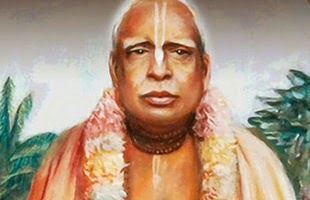 Please join us as we honour Srila Bhaktivinoda Thakur on this very important day.